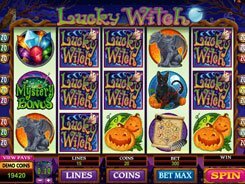 Online Slots Slots Games Directory Microgaming Witch Dr.
Witch Dr. is a Voodoo-themed video slot with impressive, eerie imagery, a wild symbol, a scatter and a free spins round. 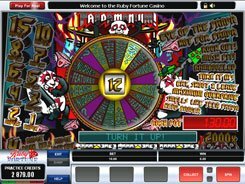 The slot is equipped with 5 reels and 20 paylines. By configuring a coin size from a penny to $0.5, you can place up to $10 per each payline, which translates into a total of $200 per spin, with all paylines enabled. 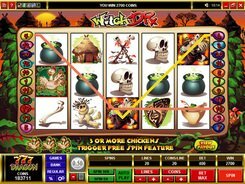 With a very flexible bet limit, Witch Dr. will definitely appeal to low-limit players and high-rollers alike. The symbols incorporate various symbols that can be associated with voodooism, witchcraft and occult rituals that are still practiced by some tribes and peoples. 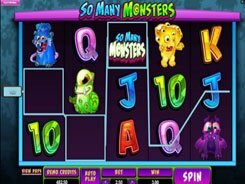 The first jackpot in the game is x5000 times a line bet, or a stunning $50,000 if playing at max. 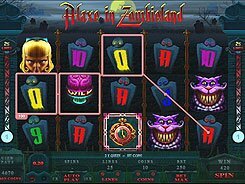 A wild represented by the Witch Doctor symbol can substitute for other normal icons and is the biggest payer in the slot. 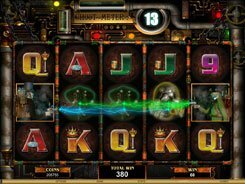 A scatter which is the Chicken triggers 15 free spins at a x3 multiplier if 3+ appear anywhere across the reels. Besides, two to five scatters pay out x2 to x100 times a total bet, the latter being the next-to-the-largest award available in the game. PLAY FOR REAL MONEY! 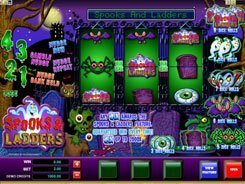 slots similar to Witch Dr.